My family are big Big Brother fans, both the USA and Canadian versions. 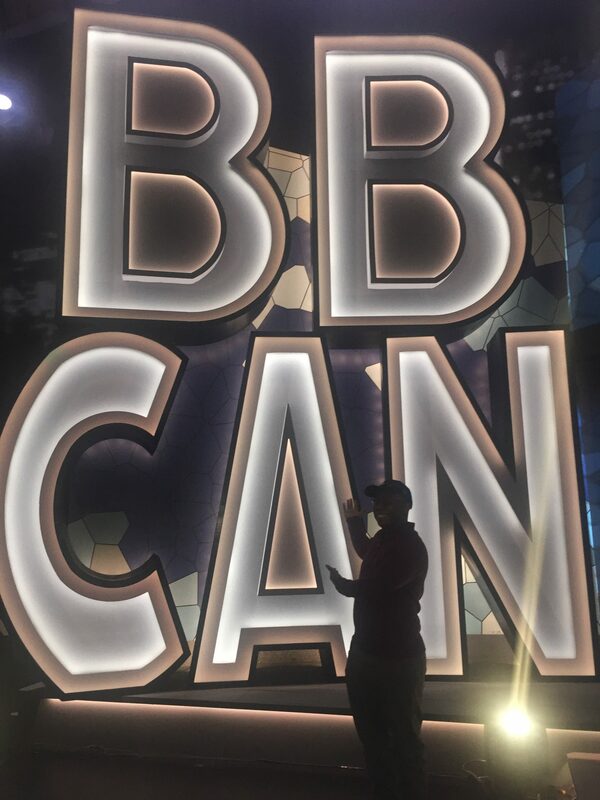 While not at the live feed-creeping superfan level, I will admit to having seen every episode of every season of Big Brother Canada, anyway. 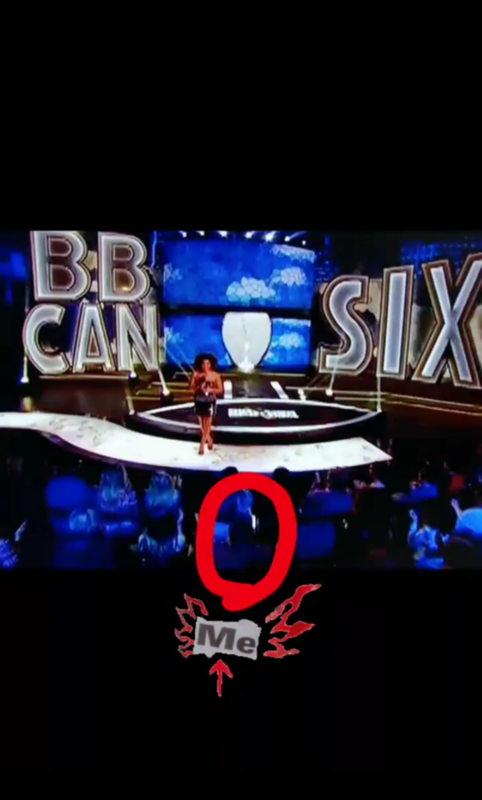 I had the opportunity to attend a Big Brother Canada Season 6 eviction episode taping recently. If you’re like me, and always wondered what one of these was like, then this is the post for you! OK, so the first thing to note is that the Big Brother house isn’t actually a house. It’s inside of a large film studio in an industrial part of Toronto. The audience area that you see is in the same studio, but not directly connected to the house. Tickets are free, #butfirst you have to request them ahead of time. There was a group of people outside that I noticed without tickets, who I think managed to get in because of some no-shows. Upon arrival, seating for the audience is on a first come first served basis. A few seats were reserved, though, for special guests, like Derek’s (one of this season’s houseguests) family. If you are looking to be on TV, the seats on the left hand side were the place to be. I figured that it would look kind of weird if I sat in that section alone, so I settled into the middle. Before the actual taping, the audience coordinator, Philip Tetro, warmed up the crowd. He ran through the rules, with the most important being no phones out and no picture-taking allowed at all, or you’d be evicted from the taping. He also cracked jokes, asked people questions, and let us ask questions. Trying to sneak into the house will also get you tossed out of the building, Uncle Phil throwing out Jazz on Fresh Prince of Bel-Air style. Sidenote: Now, years ago, I went to a David Letterman Show taping, in New York City. I didn’t go because I was a fan; I went because we were on vacation, walking through Times Square, and one of Letterman’s staff asked us if we wanted tickets. When we got there, I got the feeling that most of the audience were also tourists who were happy to be there, but not true fans. The vibe was pretty subdued, and not very raucous. The reason I bring up this is because at the BBCAN6 show, all/most people were fans who were legitimately excited to be there. A good chunk had even been to multiple tapings before. There weren’t any cues to cheer or clap; the crowd just automatically knew what to do and when, which was surprising to me. 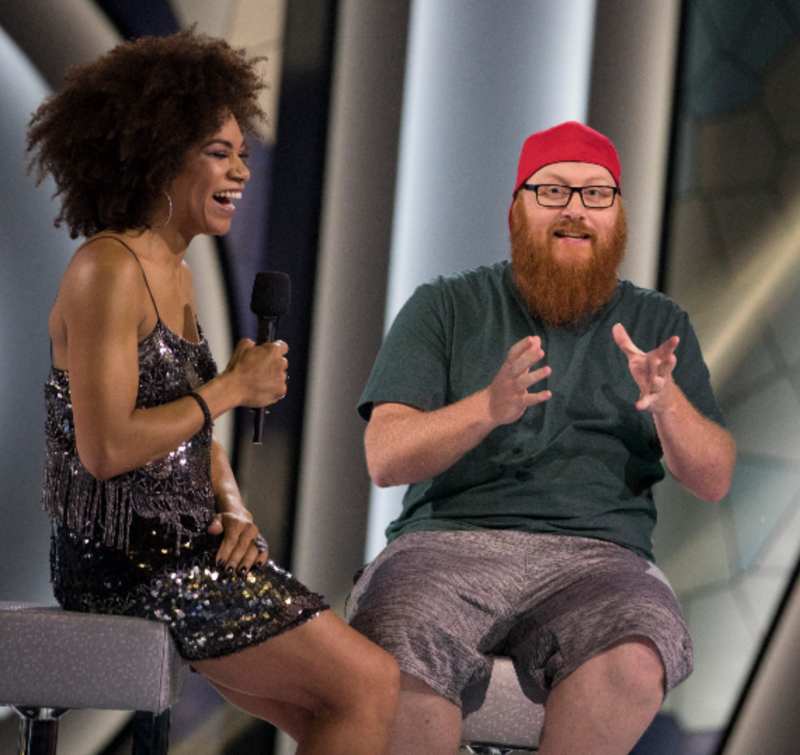 The conversations I overheard were mainly about the show, and some of the questions asked of Philip were pretty nerdy (which I say with affection, fellow BBCAN nerds). After maybe 45 minutes (I couldn’t look at my phone, so I didn’t know the time), Philip suddenly introduced the host, Arisa Cox, and she came onto the stage. My observation would be that she is a consumate professional. Very smooth througout the proceedings, with a fun, easy-going demeanour, who interacted easily and happily with everyone. Sidenote x2: Man, Erica (an evicted houseguest this season) is popular. She got done dirty by a Canada voting twist, but she had a lot of fans among this particular audience. Conversely, when Arisa asked who we thought would win, the only contestants to be booed were Kaela and Derek (poor Derek’s family. Sad face). Once Arisa arrived, the taping actually went smoother and faster than I thought. If you’ve seen an eviction episode, picture that, but then picture it playing out live in front of you. We saw the same intros and videos packages in order as what was shown later, with Arisa making the transitions, or throwing to breaks along the way. The pauses in between the action were only a few minutes long, up to the actual eviction part. Ryan breakin’ it down with Arisa. Photo courtesy of Global TV. Once Ryan (spoiler alert?) was voted out, there was a lull, as he needed to be transported from the house, to us. On TV, you think that as soon as they walk out the house doors, they walk into the studio, but this isn’t the case. Ryan did a quick sit down interview with Arisa at that time, but came back later to do a longer interview, which was to be shown on Facebook the next day. After the first interview, there was a long gap in the taping, as they had to get ready for the the Head Of Household competition. During this time, Philip hosted a “slop-eating contest”, where three unlucky lucky audience members got to try that classic Big Brother staple food. Surprisingly, no one gagged, and they calmly chowed down their slob. We saw the first few minutes of the HOH comp, before Arisa put a wrap on things. I thought that we might be able to watch the whole competition play out, but because it was an endurance one (re: long time), this wasn’t possible. Doors opened at 3pm, and we were out of there around 6pm. 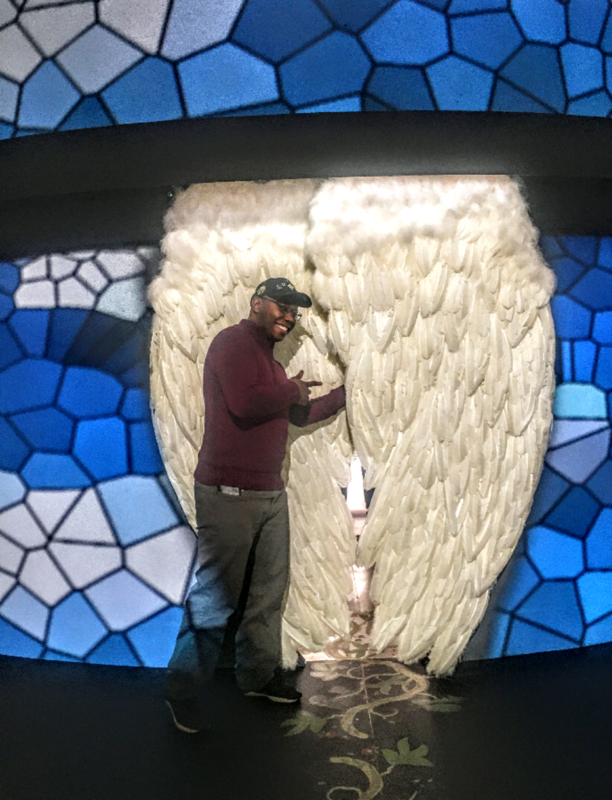 All in all, while not quite jaw-dropping (even though my daughter’s jaw dropped when I told her about the day), it was a pretty memorable experience that I’d recommend for any Big Brother fan, if the opportunity comes up. I definitely wouldn’t mind going again, in the future. Until next time, peace. 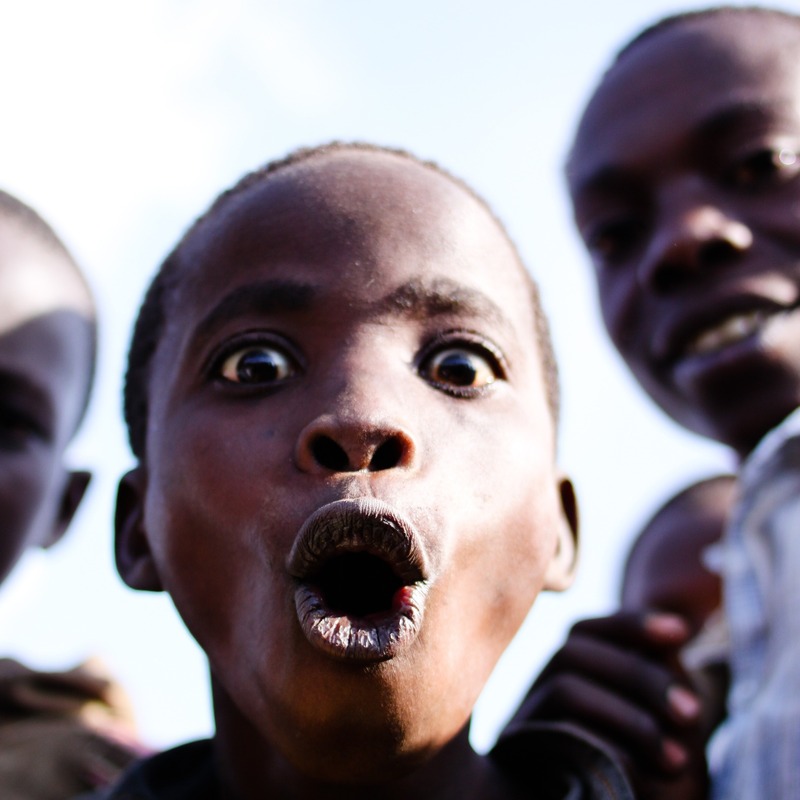 And remember…someone is always watching!!! No, that someone watching is not me with a stupid grin, don’t worry. In terms of holidays, Easter is definitely on the “Mt. Rushmore of Best Days Of The Year”, for my kids. Now, how this holiday has evolved from its origins to what it represents today is a thinkpiece subject for a far more intellectually stimulating site than this one. In our house, while Easter is mainly about family, it’s also about the Easter Bunny. And truth be told, B and J are all in on believing in that chocolate pimpin’ rabbit! J believed so much, that she even concocted a harebrained scheme this year. Lemme explain. It ’twas Easter Eve, and I was doing what any good parent would do – running out to the stores last minute, to buy some chocolate and presents. After scouring the picked over shelves, I did manage to find some decent treats along with some cool cheap gifts. The best one was a toddler sized basketball net that I found in the clearance section, for little KJ. 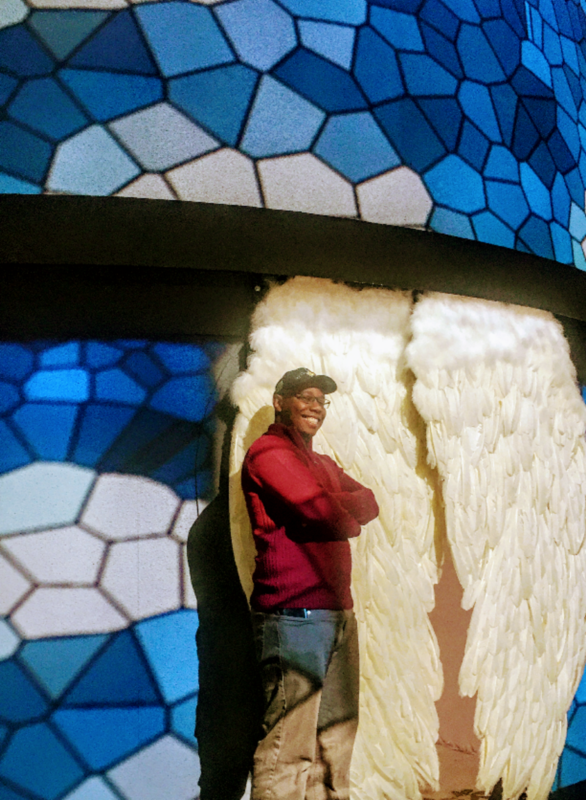 I also had been scouting the house out for days, looking for awesome spots to hide eggs for an egg hunt (plastic ones that I would fill with candy). So with everything I bought safely hidden in my car, and my mental plan in check, I headed home. All I needed was for B and J to go to bed in a good time. She was going to kidnap the Easter Bunny! Now, K and I did try to explain how wrong this was. J was undeterred, though. She just wanted to see him with her own eyes. As such, I would hear her plotting and scheming ways as to how she was going to get him. She’s been on a Looney Tunes kick lately, so I’m sure she thought capturing the wascally wabbit would be a breeze. To top it off, she even recruited B, to aid and abet in the plan. After K and I fell asleep, they were going to go downstairs. They would “chill out and watch TV”, in B’s words, to wait for the bunny’s arrival. This plan sucked, quite frankly. I’m all for the kids having fun and keeping the charade alive. However, similar to Christmas, the key is for the kids to be asleep, so the magic can happen. The last thing I wanted was for B and J to sneak up on me as I was setting things up. Thus, the stage was set. 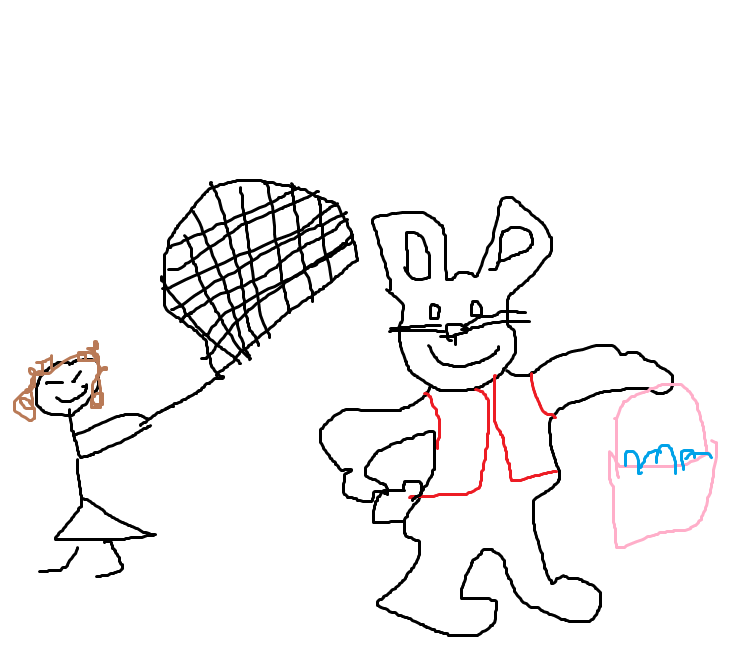 Me versus the kids, in a battle to preserve the legend of the Easter Bunny! I wouldn’t look so smug if I were you, rabbit. As K and I binge-watched Seven Seconds on Netflix that night, J passed out by 9pm. Unluckily for me, B was wide awake. K got tired around midnight, and headed to bed, at which point B ran in to join her. 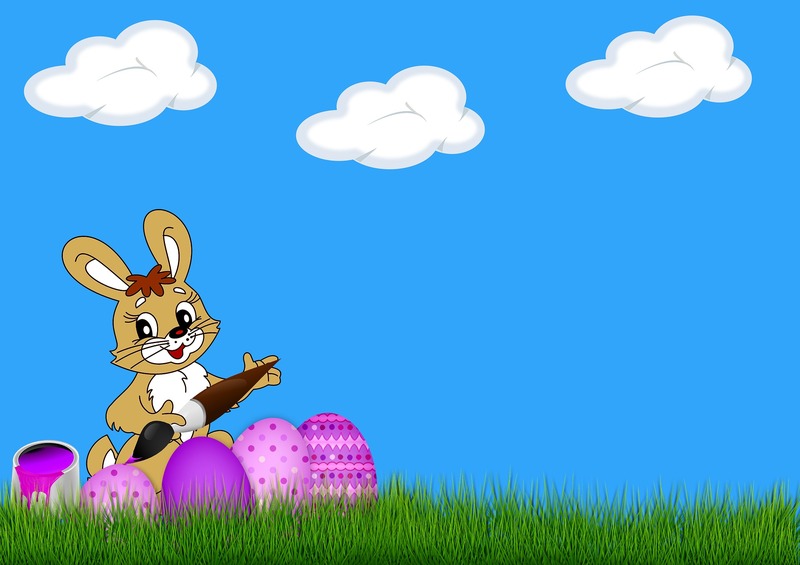 While the Easter Bunny had probably visited your house hours before, and you were enjoying a good night’s rest, I had even started anything yet. Plus one potential magic-ruining boy was still up. I figured that B would be asleep soon. If I waited a bit, I could quietly start getting organized. So, eventually, I grabbed my keys, went to my car to get my stuff…..
AND MY CAR WAS GONE!!! I must have looked like the biggest doofus, standing in my driveway for like 5 minutes, dumbfounded. K had told me earlier that vehicles had been stolen off of our street that week. Apparently mine got taken, too! What kind of A-hole plays real life Grand Theft Auto on a holiday? I was confused and angry. The kids were going to be bummed out, because the Easter Bunny didn’t come with anything. Brutal. I had to break the news about the carjacking to K, and by default B, since he was still awake in our bedroom. B was shocked, but when I told K, guess how she reacted? Yeah, she pranked me, since it was April 1. She thought I would go grab coffee in the morning, so she moved my car around the block that evening, to make it look like a theft. She forgot that I had all of the Easter stuff in my trunk, though. I can’t lie. It was a funny joke, bad timing aside. I waited for B to settle before retrieving my car, but then I got to work. As I put together the eggs in the living room, I heard J’s bed squeak upstairs. Panic immediately set in; I tossed a blanket over the stuff. Then I heard little footsteps. Then I heard our bedroom door open. Then I heard J loudly whispering to B to wake up. Then I ran upstairs to squash that noise! I told her that I wasn’t going to bed soon, so she shouldn’t bother trying to be sneaky. That was good enough for me, so I headed back downstairs. I still had to set up KJ’s basketball net. I immediately realized why it was on clearance. Picture trying to put together Ikea furniture, but with less instructions, and more hard-to-unpackage, ill-fitting parts, and you get the idea. After fumbling with that for a while, it was now well past 2:00 AM. I tapped out. Instead of an epic egg hunt, I was exhausted, so the hunt consisted of me lazily scattering the eggs in our living room and kitchen. Your dude was then able to settle in for a good night’s rest. B and J woke us up at 6:30am. However, the day wasn’t about grownups. All three kids were happy with their haul, and the hunt, so that was all that mattered. J’s already vowed to catch the Easter Bunny next Easter, unfortunately. Stay tuned for the sequel.